Franklin couldn't attend the induction, but sent a video message played during the ceremony. Aretha Franklin learned to perform as a budding star in her father's New Bethel Baptist Church in Detroit. 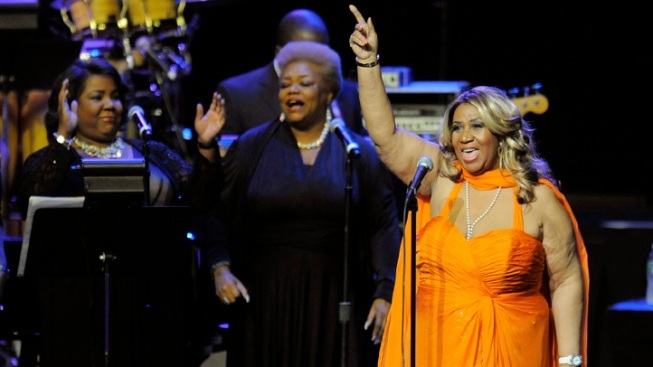 For one night, Aretha Franklin was the Queen of Gospel — not just Soul. Franklin has been inducted into the GMA Gospel Music Hall of Fame along with country and bluegrass star Ricky Skaggs, singer-songwriter Dallas Holm, family group The Hoppers, the late televangelist Rex Humbard and Christian rockers Love Song. Franklin couldn't attend the induction at Trinity Music City in Hendersonville, Tenn., but sent a video message played during the ceremony. Long before she became the queen of soul, Franklin learned to perform as a budding star in her father Rev. C.L. Franklin's New Bethel Baptist Church in Detroit. Christian stars Jaci Velasquez and Jason Crabb, who performed Skagg's signature song "Somebody's Prayin'," hosted the event. Dailey & Vincent and Michael W. Smith were among presenters.